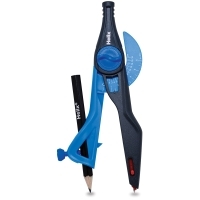 The blunt metal tip on this handy compass is safe for use even by children, yet it works well on all papers. A lockable graduation arm helps create perfect circles up to a 12" diameter. 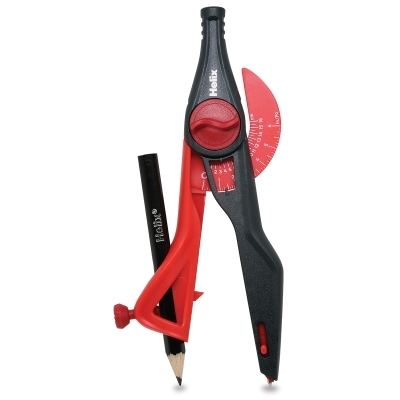 The Helix Safety Compass features both inch and metric scales.